This week the violent incidents initiated by the Arabs, mainly Hamas, continued along the border between the Gaza Strip and Israel. The climax was on Friday, May 4, 2018, when dozens of Arab rioters broke into the Palestinian side of the Kerem Shalom border crossing, which serves as the Gazans’ lifeline, damaging equipment and gas and fuel storage facilities. The organizers of the marches are preparing for this Friday’s events (May 11, 2018), and at the same time are preparing for the climax of the events in mid-May: May 14 (the transfer of the US Embassy to Jerusalem) and May 15 (Nakba Day). The intention is to organize a large mob (tens or hundreds of thousands) that will break into Israeli territory. This will be accompanied by violent events, even at the cost of many losses (which will increase the international media impact of the event). Hamas media repeatedly calls on residents of Judea and Samaria to join the marches and invent new fighting tactics to be used against the settlements (such as the Molotov kites). In practice, the relative calm in Judea and Samaria and among Israeli Arabs continues, but this is liable to change due to the accumulation of events in mid-May. The acts of violence of the “Great Return March” continued on Friday, May 4, 2018, the sixth Friday since the violent demonstrations began on March 30, 2018. Around 10,000 demonstrators (similar to the number of participants last week) participated in the Friday demonstrations in six locations near the security fence on the border between Israel and the Gaza Strip. During the demonstrations, the violent incidents continued: burning tires, throwing stones and IEDs, attempting to sabotage the security fence, and sending Molotov kites into Israeli territory (IDF Spokesperson’s Office, May 5, 2018). 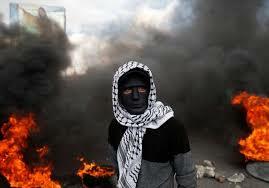 During the demonstrations, a hand grenade was thrown at an IDF force near the Karni crossing (northern Gaza Strip). In addition, two attempts by Palestinians to sabotage the security fence and cross over into Israeli territory were thwarted. According to reports by the Health Ministry in the Gaza Strip, there were no fatalities during Friday’s events and 1,143 people were injured (mainly from smoke inhalation, in the ITIC’s assessment). The climax of the violent events was when dozens of rioters broke into the Palestinian side of the Kerem Shalom crossing, damaging equipment and gas and fuel storage facilities. The Kerem Shalom border crossing is a critical lifeline used for the passage of goods, gasoline, diesel fuel and gas intended for residents of the Gaza Strip. Friday’s events included extensive use of Molotov kites. 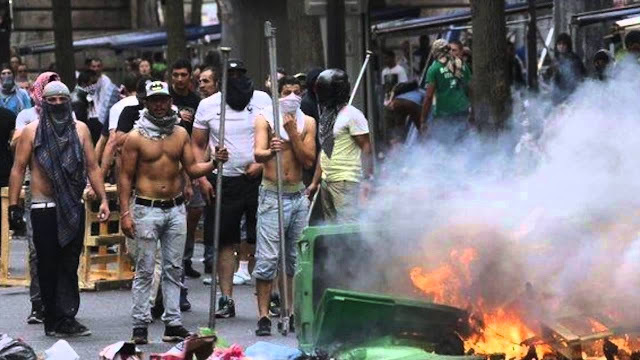 This is because the organizers of the events, led by Hamas, fully understood the media impact and the considerable material damage caused to Israel by the use of Molotov kites. Before the start of the demonstrations on Friday, May 4, 2018, Hamas called on the demonstrators to make extensive use of kites. The Quds News Network posted a video on its Facebook page showing a group of youngsters calling themselves the “kite unit” (Quds News Network, May 4, 2018). Ziyad al-Nakhaleh, the Deputy Secretary General of the Palestinian Islamic Jihad (PIJ), said that the marches opened the door to “new methods of struggle against Israel,” through which the Palestinian people expresses its objection to the “siege” imposed on it (Al-Quds, May 5, 2018). Senior PIJ figure Ahmed Mudallal praised the young Palestinians in the Gaza Strip and called for similar marches in Judea and Samaria and in Israeli territory. 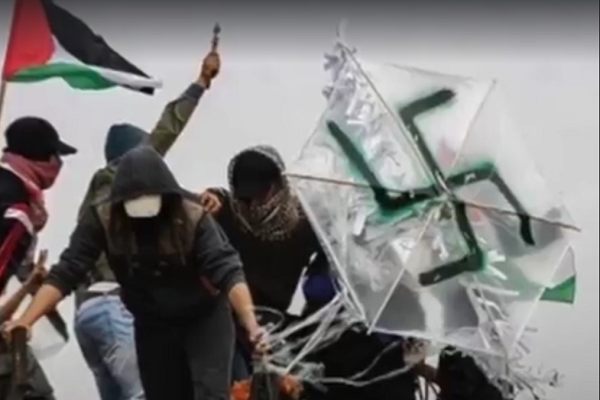 Mudallal also called on Palestinians in Judea and Samaria to “storm the settlements en masse” and invent new combat tactics against them, such as the kites in the Gaza Strip (Al-Aqsa, May 5, 2018). The organizers of the “Great Return March” again called on all Palestinians in the Gaza Strip, the West Bank and Jerusalem, and on Israeli Arabs and refugee camp residents to take part in the activities this Friday (“Friday of preparation and a warning signal”). In addition, they called for preparations for a larger-scale event on May 14 (the day of the transfer of the US Embassy to Jerusalem) (Great Return March Facebook page, May 7, 2018). Hamas Spokesman Abdel Latif al-Qanua said that an unprecedented large-scale march would take place in mid-May, which, according to him, would be a “decisive day in the history of the Palestinian people” (Abdel Latif al-Qanua’s Twitter account, May 7, 2018). On May 6, 2018, Israeli security forces at the Kalandia checkpoint stopped a 47-year-old Palestinian resident of Al-Eizariya. A search of her bag revealed a knife. She was arrested and taken for questioning (Israel Police Spokesperson’s Office, May 6, 2018). On May 1, 2018, Border Police soldiers arrested two Palestinian youths who had come to the Salem Military Court (northern Samaria). The two youths had three pipe bombs hidden in their clothing and cigarette lighters were also found in their possession. In the past year, there have been a number of cases in which young Palestinians came to the military court with IEDs. On March 7, 2018, Israeli security forces arrested Omar Kiswani, 24, a resident of Beit Iksa (northwest of Jerusalem), who served as chairman of the Student Union and head of the Islamic Bloc cell (the Hamas faction) at the Birzeit University. Kiswani was arrested on suspicion of involvement in terrorist activity. His arrest, which took place at the university, led to a series of condemnations by the Palestinian Authority and Palestinian organizations calling for international intervention. His interrogation revealed that Kiswani had contacted Yassin Rabi’a, a Hamas operative in the Gaza Strip, as well as Hamas operatives in Turkey. He had received money from them to promote Hamas activity at the university. Kiswani received the sum of EUR 150,000, which was hidden in a number of hiding places throughout Judea and Samaria. The money that he received was used to promote Hamas activity (Israeli press, May 3, 2018). Yassin Rabi’a, who was contacted by Kiswani, was born in 1971. He lives in the village of Al-Mazraa al-Qabaliya in the Ramallah area (Hamas website, May 7, 2018). Yassin Rabi’a is a Hamas operative who was arrested in 2005 and sentenced to two cumulative life sentences and another 20 years in prison (WAFA News Agency, April 13, 2005). He was convicted of intentional manslaughter, military training, attempted murder, and shooting at people. Rabi’a was released in the Gilad Shalit prisoner exchange deal and deported to the Gaza Strip. He is currently in charge of the Islamic Bloc (Hamas faction) at the universities in Judea and Samaria (Al-Resalah Net, November 12, 2016).